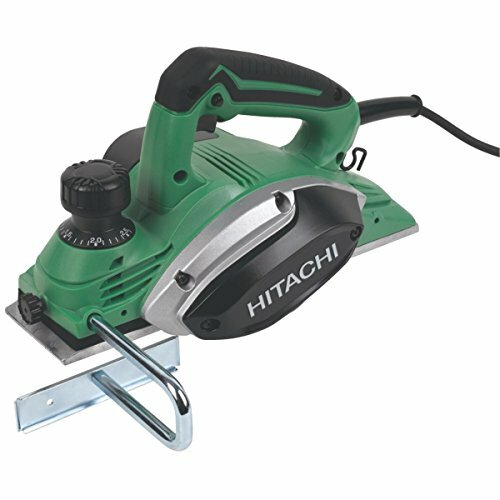 Lightweight and compact aluminium-based planer with V-groove chamfering, soft-grip handle and adjustable cutting depth. Features protection foot on base and high planing speed for a smooth finish. Supplied with 2 x blades and carry case. Product contents:P20SF/J1, 2 x TCT blades, blade-setting gauge, wrench, guide and carry case. Specifications:Planing width 82mm. Planing depth 0-2.6mm. Rebating depth 9mm. Weight 3.3kg. Fan-Cooled Motor. Soft-Grip Handle.